Tropical plants found in South Carolina thrive in and are adapted to the state's sub-tropical and tropical climate; rain is ample, the coastal location by the Atlantic Ocean provides moisture and warm air and the Appalachian mountain range create milder winters by acting as a blockade to frigid air, according to the South Carolina Department of Natural Resources. Red leaf hibiscus (Hibiscus acetosella) is a tropical annual shrub found in South Carolina, according to the Clemson University Extension. Red leaf hibiscus plants display burgundy-red leaves and sometimes purple flowers. 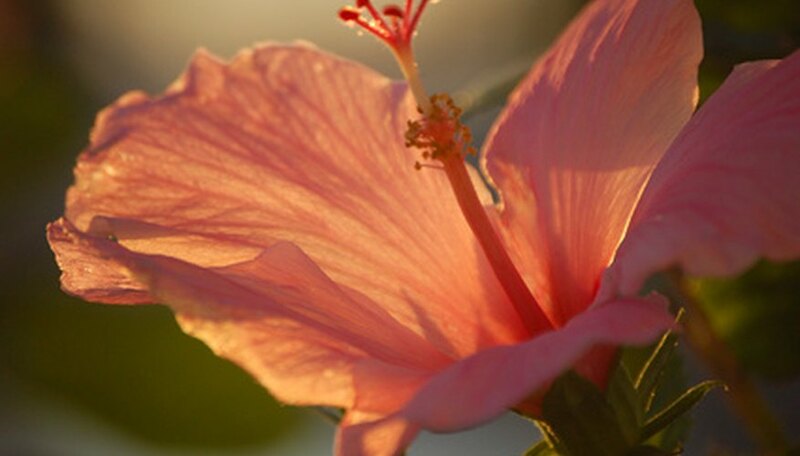 This tropical plant thrives in full sun, prefers moist, well-drained soil and grows to a height of 5 feet. The most widely used cultivar in South Carolina is 'Red Shield'. Cannas (Canna x generalis), also called yellow King Humbert cannas, are tropical plants found in South Carolina. This perennial displays yellow flowers with orange speckled interiors and large green oval-shaped leaves. Thriving in full sun to partial shade, cannas prefer moist, well-drained soil and grow to a height of over 5 feet, according to the Clemson University Extension. Needle palms (Rhapidophyllum hystrix) are tropical plants found in South Carolina. Needle palms are native to South Carolina and display clumping, dark green leaves as well as protective needles that cover the plant's crown. Known as "the world's hardiest palm," the needle palm is considered hardy throughout all of the state of South Carolina, according to the Clemson University Extension. Needle palms thrive in light shade, prefer moist soil and reach a height of 10 feet. The sago palm (Cycas revoluta) is actually a cycad plant; unrelated to palms, they look very similar. This evergreen plant displays fronds that resemble the leaves of a palm tree, though its trunk does not form branches. Thriving in full sun to full shade and preferring nutrient-rich soil, sago palms grow to a height of 10 feet but generally reach approximately 3 to 5 feet, according to the Clemson University Extension. Do not plant sago palms in western regions of South Carolina as extreme temperatures of the winter season may cause burns.